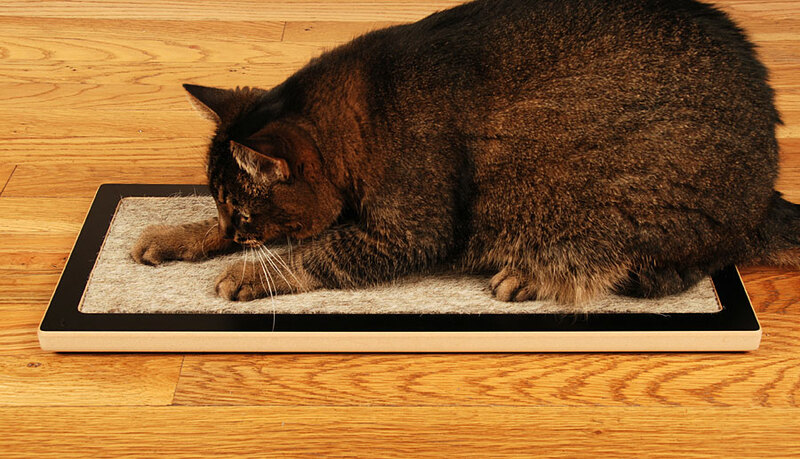 At last, a modern cat scratcher that doesn’t make (or look like) a complete mess. 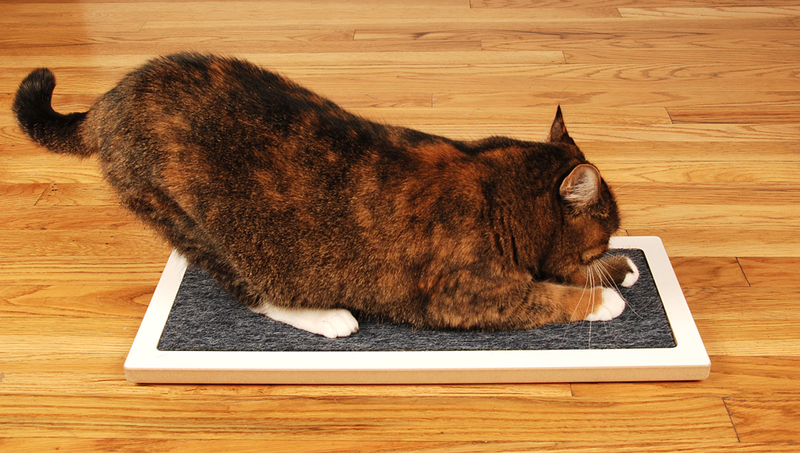 Say goodbye to cardboard messes! 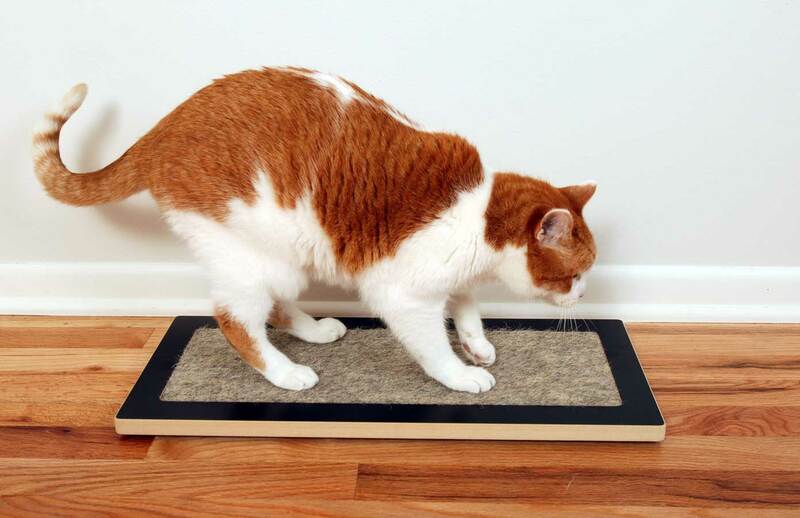 Say hello to the Lo floor cat scratcher, your cat’s new love interest. Not only does it have a minimal footprint, you’ll hardly know it’s there thanks to sleek clean lines and modern styling. 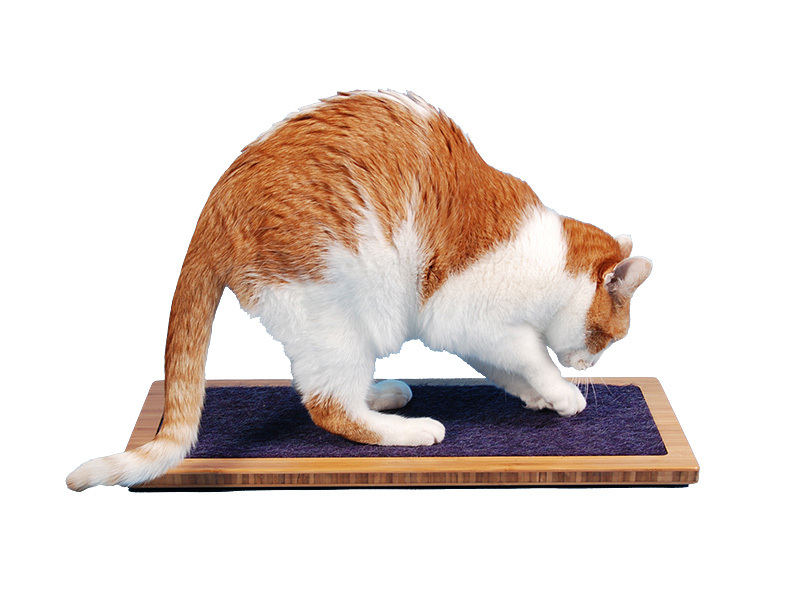 Includes 3/4″ base for extra durability–made to last a long time! Our MOHAIR (faux) inserts are whiskery like a wire-haired terrier. 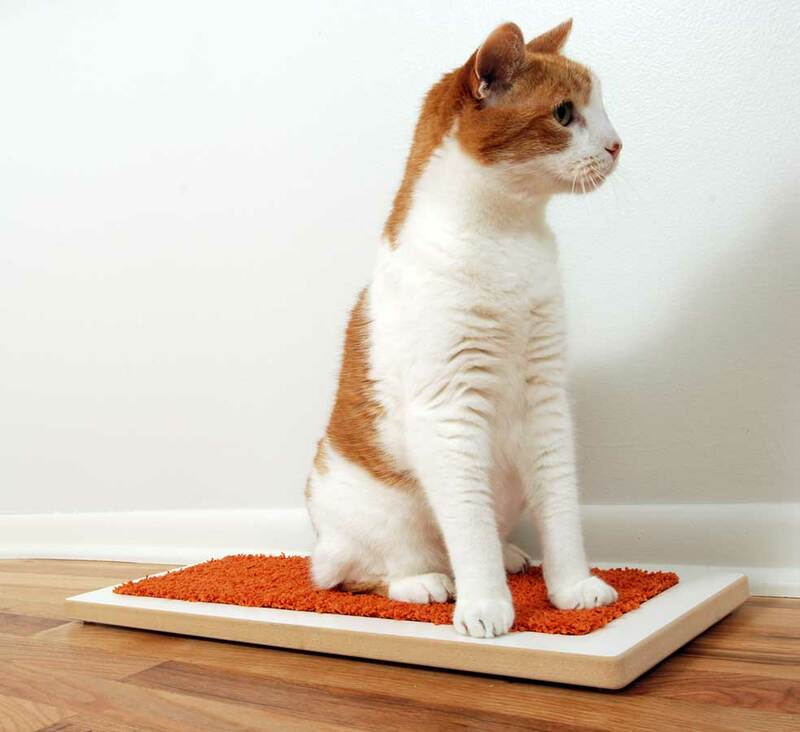 Highly durable (our most scratch-able), doesn’t show dirt, and is easy to clean. Made from mostly nylon and 36% Post-Industrial (recycled content derived from industry scraps). Our PLUSH inserts are rich and luxurious colors in plush softness. Up to 43% post-industrial recycled content and made of cut pile construction and nylon. 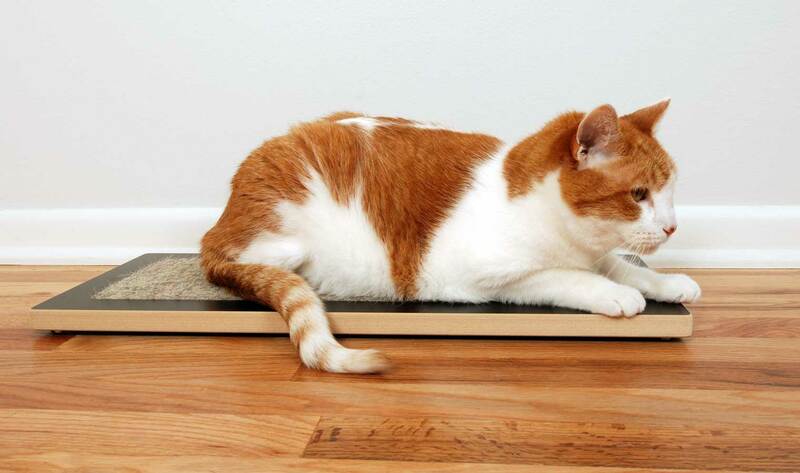 Almost 1/2″ thick for those cats with extra long nails.